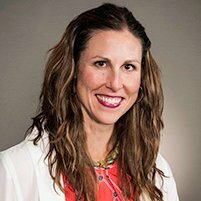 NEWPORT BEACH, Calif. - Aug. 28, 2018 - PRLog -- CEO Coaching International, the leading firm for coaching growth-focused CEOs and entrepreneurs, announced today Megan Bell as Manager of Community. Bell, a results-producing business executive brings expertise in global community development and engagement, leadership development, content creation and optimization as well as strategic planning. "Megan's broad range of experience in building strong, thriving communities; creating a multi-dimensional experience for connection and engagement will create a significant new level of breadth and depth for our members inside the CEO Coaching International organization," said Mark Moses, CEO and Founder of CEO Coaching International. "Her efforts will enable our members to tap into new opportunities that will amplify their growth, learning and transformational experiences through coaching." "CEO Coaching International continues to scale its unique and world-class position in the market by opening up new channels for members to experience growth along their leadership path," said Megan Bell. "I firmly believe that the strength of the developing community experiences will enable CEO Coaching International members to engage and grow in more significant ways on both business as well as personal levels."